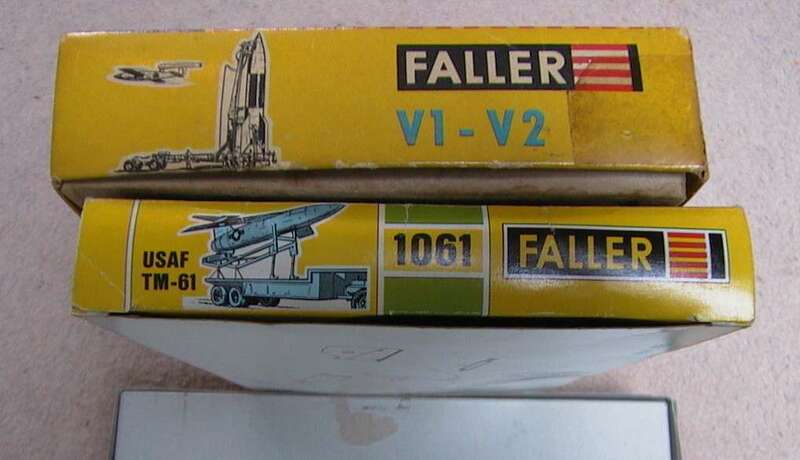 Faller produced a line of 1/100 scale kits, starting somewhere in the fifties of last century, mainly aircraft. 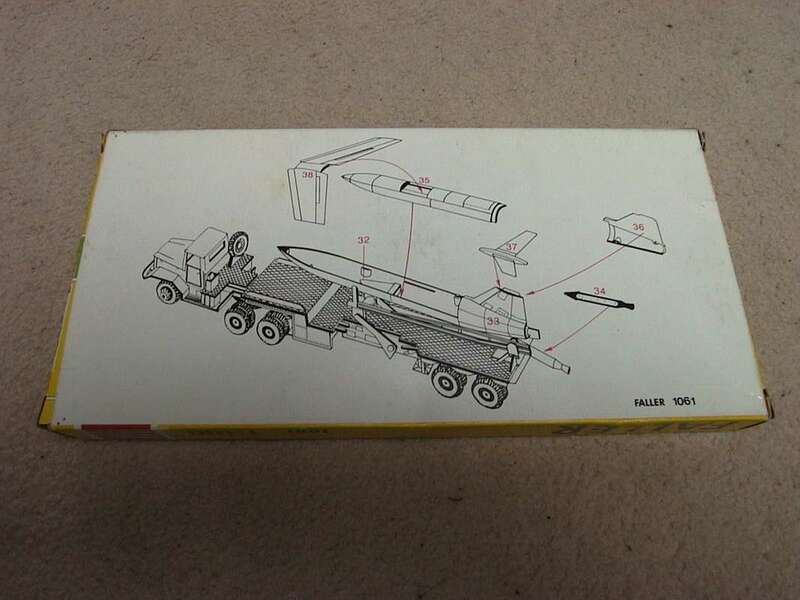 Of interrest are two missile kits. 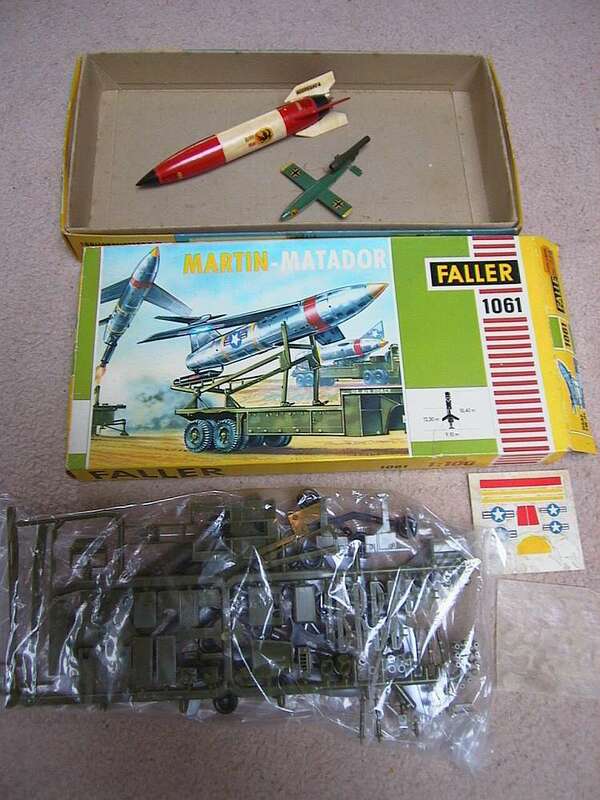 They are the V1 - V2 missile set and the Martin Matador missile set. Although stated to be 1/100 on the boxes the true scale of these kits is open for debate. 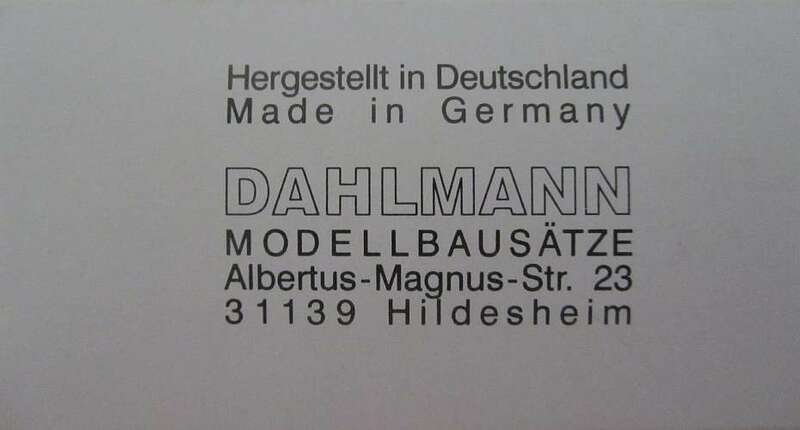 I know of three different issues of Faller and one of Dahlman for both of these kits. The earliest issue appeared in the late fifties/ beginning sixties. 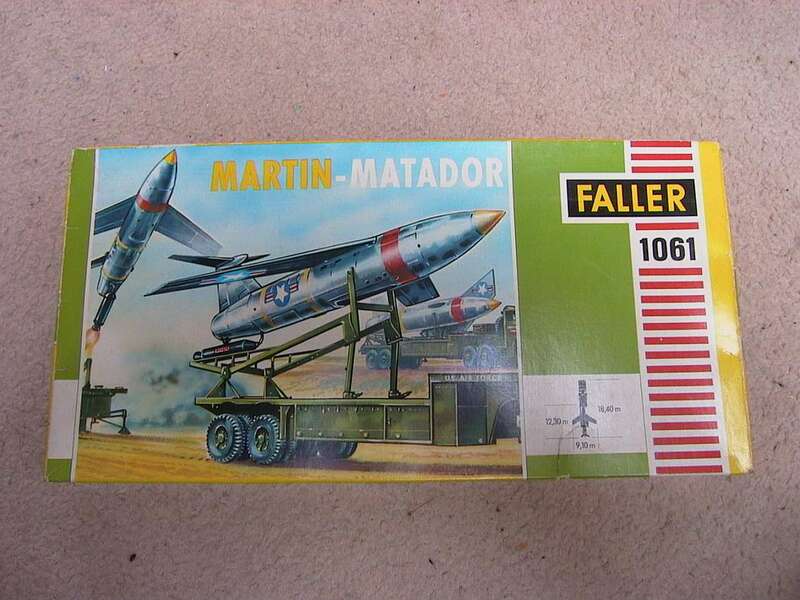 This was the V1 - V2 set to be followed by the Matador set. 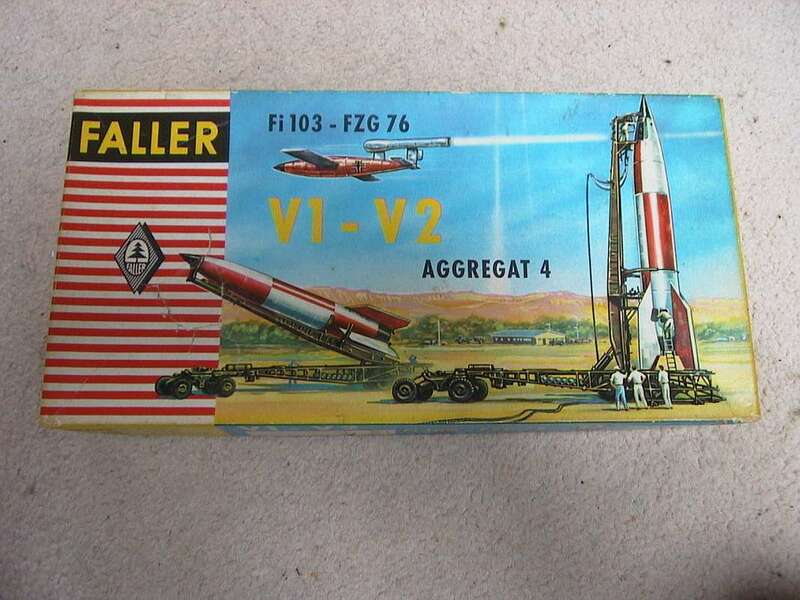 First issue boxes did not have a kit number. They came in a two piece box with the early Faller "pine tree" logo. 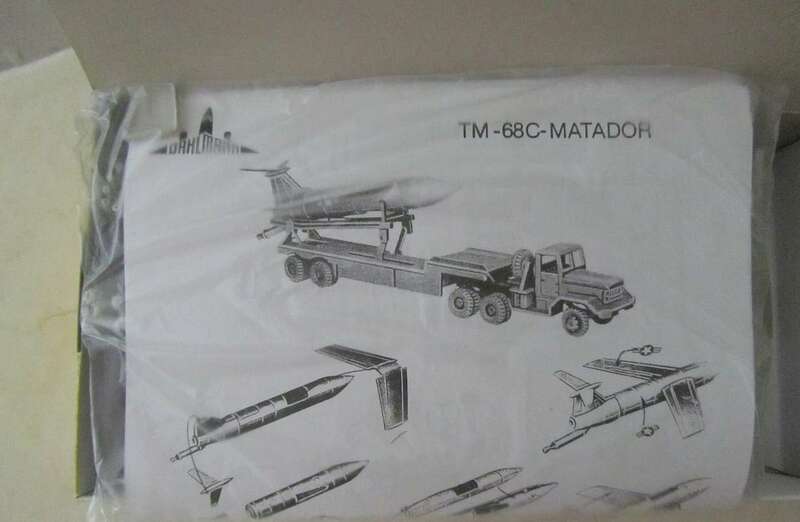 Contents in multi color plastic. 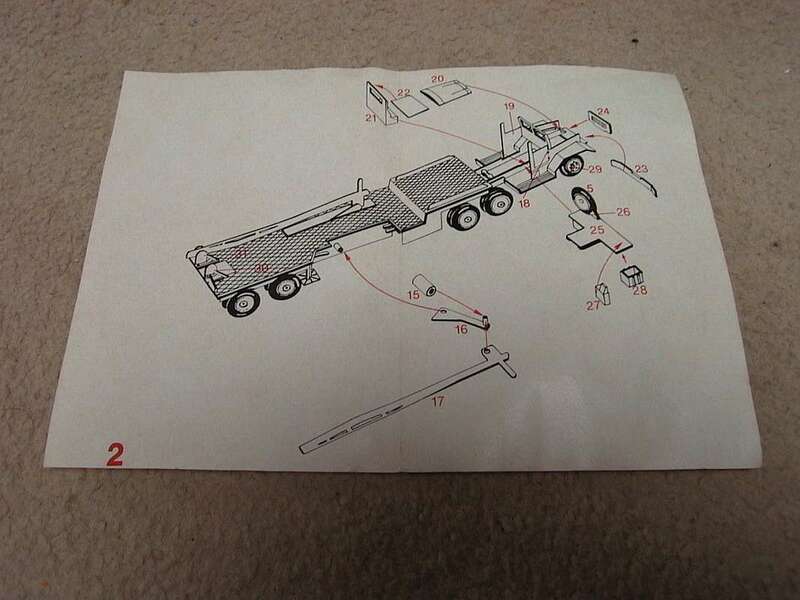 Instructions were also colored in black and red. 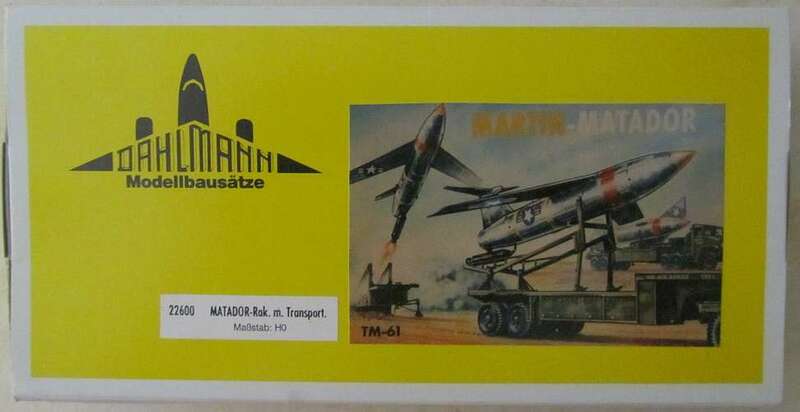 these first issue kits are verry rare and expensive. 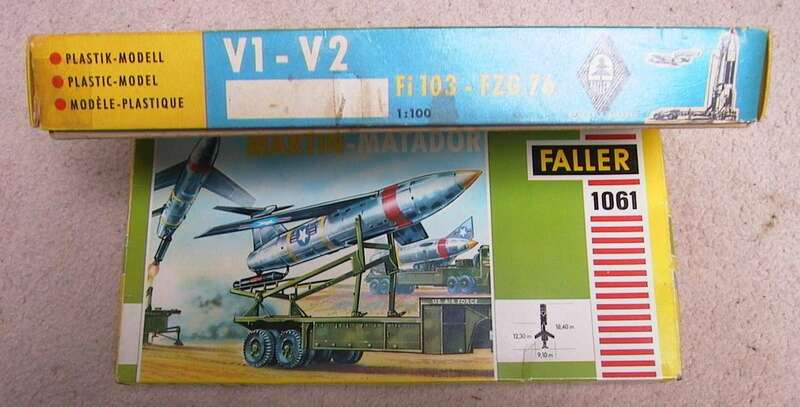 The second issue was still in a two piece box but now had a kitnumber : 1944 for the V1 - V2 missile set and 1061 for the Matador set. 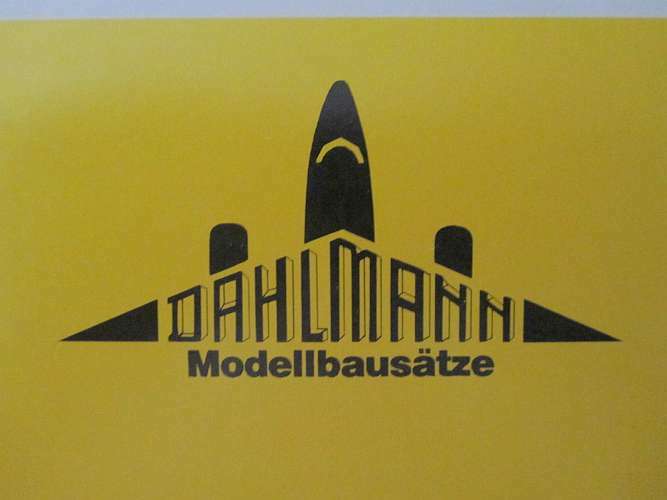 Some had the "pine tree" logo, others an "aircraft" logo. 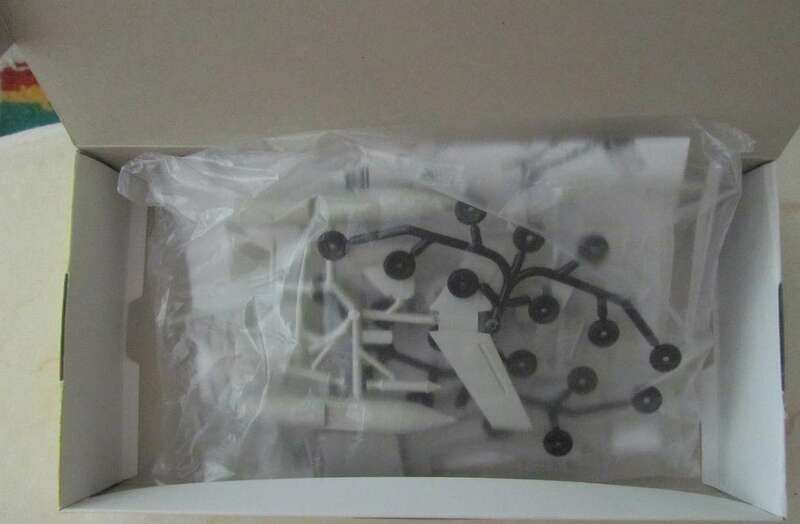 The third edition was released somewhere in the seventies and now the kits were packed in a flipopen box with the kitnumber on front and sides and a part of the building instructions on the backside. 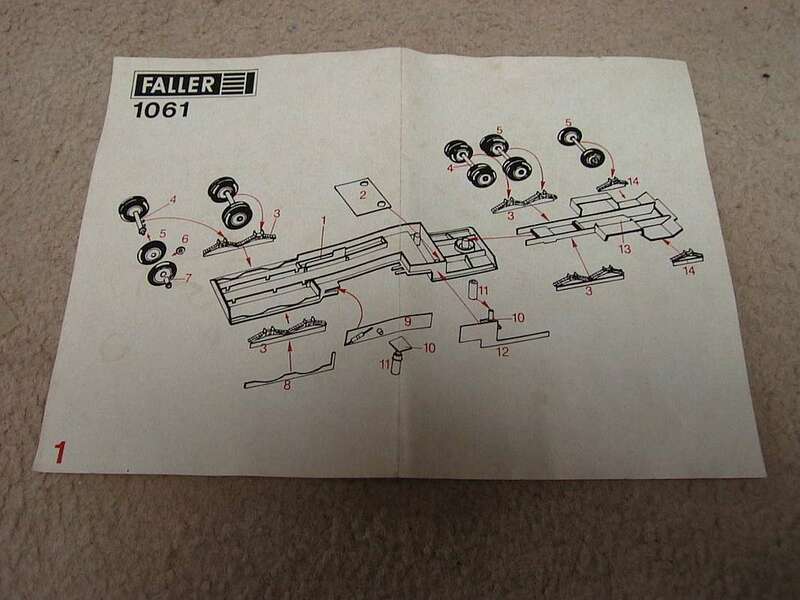 Contents were still multicolored, as were the instructions.